What is USB 2.0 and 3.0? 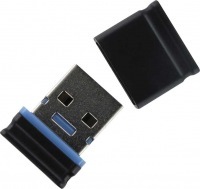 USB (Universal Serial Bus) was brought about to be able to set a standard connection for devices to connect to your PC. 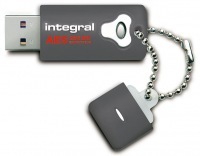 The connection allows the device connected to draw power if required and also transfer information to and from the PC. The evolution of the USB port has provided the user with a better experience due to the increase in throughput allowing for fast transfers. 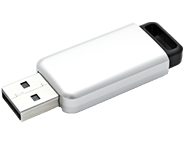 USB 2.0 has a maximum transfer rate of 480/Mbit/s with the newer USB 3.0 allowing for lighting fast transfers of 5Gbit/s. The USB 3.0 Flash Drive is fully backwards compatible with USB 3.0 sockets. However the device will only transfer data at the speed of the sockets. How long will data stay valid for on a memory card or USB Flash Drive ? Unfortunately both memory cards and USB drives were not designed for long term storage. Therefore you should always backup your data on to another device. The data will normally stay valid for a period of up to 10 years if stored under normal conditions. The data cells inside carry a charge which can dissipate over time. The data can be refreshed; copy all data off card and then format the card or USB drive and then restore all data to extend the data for another 10 years. How do I safely remove a USB Drive? IMPORTANT- Before you remove your USB Flash Drive make sure no data is being transferred to or from the USB. Locate and left click on the "Safely Remove" icon on the System Tray to display the USB devices connected on your computer. Select the computer drive letter assigned to your USB and click on the "close/unplug" option, you can then safely remove it. Locate the USB drive icon on the desktop and drag it onto the Apple Trash can (icon). 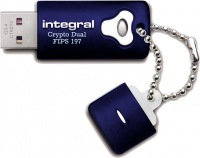 Hardware based encryption is where data which is transferred to and from the encrypted USB is automatically encrypted/decrypted through a AES chip built on the Flash Drive. This is much faster and more secure than a software based encryption system, where data is encrypted/decrypted through a program on the PC/Mac. What is the difference between FIPS 140-2 and FIPS 197 certification? FIPS 197 certification looks at the hardware encryption algorithms used to protect the data. FIPS 140-2 is the next, more advanced level of certification. FIPS 140-2 includes a rigorous analysis of the product's physical properties. So, with a FIPS 140-2 certified USB Flash Drive the tamper-proof design of the circuit board has been approved, as well as the data encryption. Find more information on our FAQ page.